These 1 g coins are 25 g MapleGram25 broken into 1 g increments. 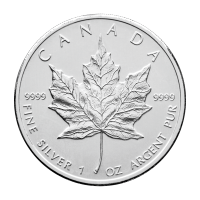 New for 2016, all coins feature the same radial lines as larger gold maple leaf coins as a security feature. 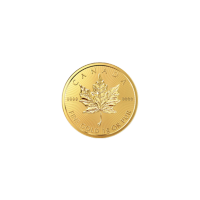 Admired by investors the world over, the Royal Canadian Mint's Gold Maple Leaf coins are struck to the highest standards quality with the distinct Canadian Maple Leaf design. 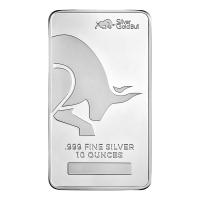 The MapleGram25 by the Royal Canadian Mint offers an exceptional investment value as well as a practical one. Each 25 gram MapleGram25 is part of a divisible blister pack of twenty five one gram coins and comes wrapped in an elegant sleeve. 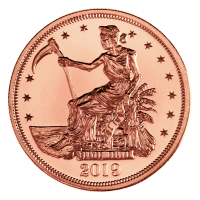 Each coin has a distinct serial number on the blister pack which when broken down into singles acts as an individual MapleGram Certicard with the weight and purity written on it. The sleeve that holds the blister pack contains the assay certificate to verify weight and purity written right on it. ظهر العملة ورقة القيقب بتفاصيل دقيقة مع عبارة "كندا ذهب نقي 1 غ أو صاقي 9999|"
ورقة القيقب بتفاصيل دقيقة مع عبارة "كندا ذهب نقي 1 غ أو صاقي 9999|"
1g 2016 MapleGram25 Single Gold Coin These 1 g coins are 25 g MapleGram25 broken into 1 g increments. 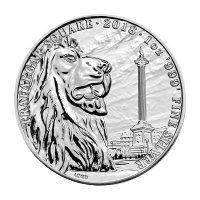 New for 2016, all coins feature the same radial lines as larger gold maple leaf coins as a security feature. 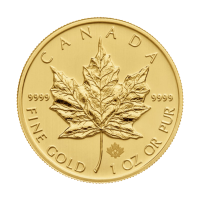 Admired by investors the world over, the Royal Canadian Mint's Gold Maple Leaf coins are struck to the highest standards quality with the distinct Canadian Maple Leaf design. 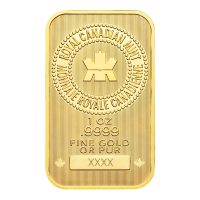 The MapleGram25 by the Royal Canadian Mint offers an exceptional investment value as well as a practical one. Each 25 gram MapleGram25 is part of a divisible blister pack of twenty five one gram coins and comes wrapped in an elegant sleeve. 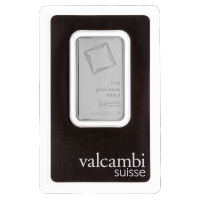 Each coin has a distinct serial number on the blister pack which when broken down into singles acts as an individual MapleGram Certicard with the weight and purity written on it. The sleeve that holds the blister pack contains the assay certificate to verify weight and purity written right on it.